“Today’s announcement is cause for great celebration among Tennessee’s pro-life movement,” said Brian Harris, president of Tennessee Right to Life. “This is the culmination of many years work and Tennessee Right to Life is especially grateful to our state’s voters, legislators, election officials and Attorney General Slatery for staying the course. Passage of SJR 127, which placed the proposed constitutional amendment on the ballot, and Amendment 1 itself were the top priority and legislative goal of Tennessee Right to Life for more than 16 years. The impact of the decision was enormous. Common sense pro-life protections were immediately stripped from state law books, including informed consent for women considering abortion, a 48-hour waiting period and requirements that second trimester abortions be performed in equipped and regulated hospitals rather than abortion facilities. Tennessee became an abortion haven; one in four abortions is performed on women who live outside of the Volunteer State. In a press release, Tennessee Right to Life provided a useful background to the struggle. …. 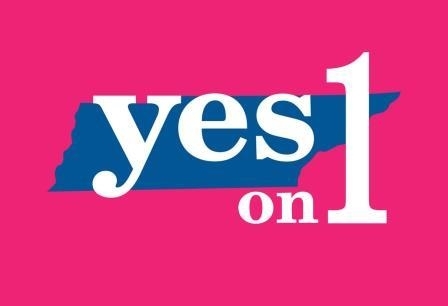 For most Tennessee voters, pro-life Amendment 1 was decided on November 4, 2014 when it was approved 53-47%. But several days later former Planned Parenthood board chair Tracey George joined seven other pro-abortion activists in filing a legal challenge in Federal Court. They were contesting the manner in which the state tabulated the votes and claiming discrimination against pro-abortion voters. In April 2016, former U.S. District Court Judge Kevin Sharp agreed with Planned Parenthood and demanded a recount of the votes . In his ruling, former Judge Sharp threatened to throw out the votes of those Tennesseans casting a vote on the Amendment but not having also voted in the 2014 governor’s race. Appealed by the Tennessee Attorney General, the case ultimately made its way to the U.S. Sixth Circuit Court of Appeals which heard oral arguments in August of 2017. Tennessee Right to Life and YES on 1 coordinated a “friend of the court” brief containing the signatures of 8,850 Tennesseans urging the court to uphold their votes on the Amendment. [After the three judge appeals court panel unanimously supported the vote count] Planned Parenthood activists immediately sought a re-hearing of the case before the full 6th Circuit which rejected the request. Tennessee’s pro-abortion leaders asked the U.S. Supreme Court to take up their challenge of the people’s pro-life vote on Amendment 1. On Monday, October 1, the U.S. Supreme Court declined to take up the case thereby leaving the lower court’s decision in effect and affirming Amendment 1.